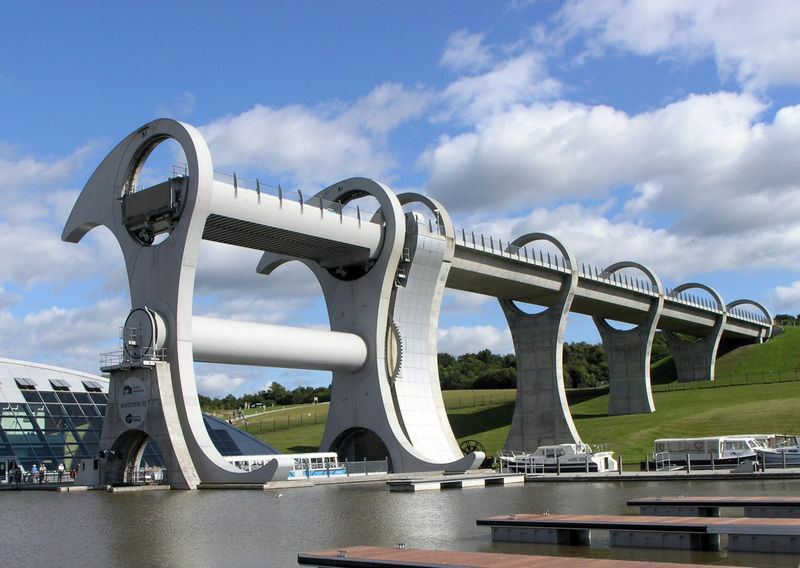 Putting ordinary canal locks everywhere to shame, the Falkirk Wheel is a rotating boat lift in Falkirk, Scotland, & is a rather facinating example of Archimedes’ principle. More large-scale public works projects should be constructed with as much artistic vision as the Falkirk Wheel. The Falkirk Wheel is constructed in the shape of a Celtic-inspired double-headed axe, & uses a planetary gear system to keep the 80,000 gallon caissons level. Strépy-Thieu boat lift » .. another neat boat lift in Belgium, the tallest in the world. We love the wheel and our kids love the playpark next to it too!